I’ve got creating characters down to a science. Literally! Well, the science of astrology anyway… and you too can know my secret, but first you must suffer through what’s new in Nicky Draydenland! 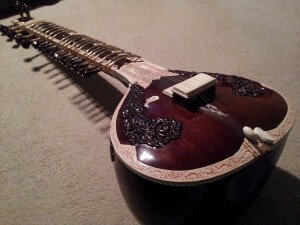 First and most importantly, after ten years of wanting one, I am now the proud owner of a sitar! It’s even more awesome than I could have imagined. I have now masted the traditional Indian ragas Mary Had a Little Lamb, Old MacDonald, and Over the Rainbow…okay, so obviously I need some instruction on how to play this thing. Maybe that will be a possibility one day, but for now I’ve got my hands full with other creative endeavors. 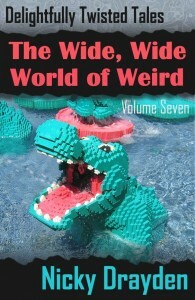 I put out another ebook collection of short stories, this one entitled The Wide, Wide World of Weird. I gave it this title because people kept commenting on my other ebooks that the stories were “weird” like that was a bad thing! Little did they know that “weird” is just about the best compliment you can give me. So in the name of truth in advertising, I put it all out there right on the cover, and beyond the cover, you’ll find 12 strange stories definitely deserving of the title. Story a Day in May was a big bust. I got two days into it and decided that I just couldn’t perform like I wanted, so I dropped it. Instead, I’m concentrating on my novel revision which has gone almost halfway through my critique group. They’ve been extremely helpful in helping me to develop and focus the story and I’ve really fallen in love with the characters. Which brings me to the main topic of this entry: creating well-rounded characters! 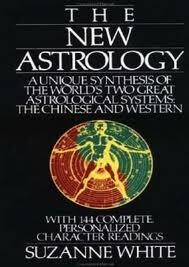 My favorite part of the character development process happens during the second draft, in which I pull out my handy dandy The New Astrology: A Unique Synthesis of the World’s Two Great Astrological Systems: The Chinese and Western a special little cheat that my old writing coach Richard introduced me to. It contains insightful descriptions of all of the Chinese zodiac signs, plus all of the Western ones, then goes one step further and combines them for a total of 144 unique combinations…combinations that make great well-rounded characters with little to no effort! I always do this process after the first draft so that I at least have an idea of what the characters are like. Then I look through the lists of character traits for both the Chinese and Western zodiacs and find the ones that closely match each main character. I pick the best from each astrology system, find where they intersect, and viola! Each entry gives me several pages of material, including a generous list of character strengths, weaknesses, and quirks right there on the page. It also goes into detail about what professions suit the character, which signs they’re romantically compatible with, and what their family life is like. I pick and choose from these little gems to backfill my story, and with a few carefully placed details, the characters come to life and jump off the page. So that’s my big characterization secret. If I were to have only one book in my reference library, this one would definitely be it! I hate thinking up character bios from scratch. I often use tarot cards for both plot and character. I might have to check into that book though. Thanks for sharing, and good luck with the sitar! Oooo, tarot cards would work nicely as well! My debut novel THE PREY OF GODS is a near future thriller set in South Africa in which a diverse set of characters imbued with supernatural abilities by a street drug called Godsend must band together against a disenfranchised goddess who intends to remake their world and change the fate of humanity forever. It's scheduled for release in Summer 2017 from Harper Voyager. Sign up for my newsletter for updates or pre-order now! My novel-length work is represented by Jennifer Jackson at the Donald Maass Literary Agency. Copyright © 2019 Diary of a Short Woman. All Rights Reserved.